Are you using puzzles in the classroom? Word search puzzles are a great way to introduce new concepts, consolidate spelling, and introduce new vocabulary. 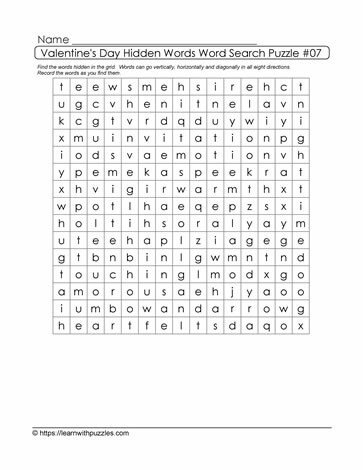 Here is a word search puzzle that requires students to draw upon their knowledge base of Valentine's Day words, locate the words hidden in the grid, and then record the list of words in the space provided. Puzzles, like word search puzzles, also support, or help to create, a cooperative and a collaborative learning classroom. Students work with a peer or as part of a small group to solve the brain teaser.